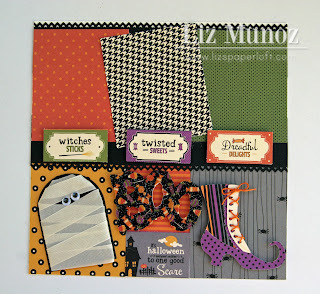 Liz's Paper Loft: Scrappy Monday at My Creative Time! Hi Everyone! 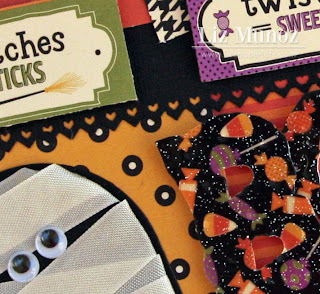 It's Monday and you know what that means...Scrappy Monday at My Creative Time! I know I'm happy we are doing more layouts, it gives me a chance to catch up on some of my own albums! And with My Creative Time stamps and die it makes it a snap! I hope this gives you some inspiration to get your own albums completed! For the mummy, I used the new Just Tag Die and wrapped seam binding ribbon and added some googly eyes. To create the "boo" I first stamped "boo" from Treats for My Sweet stamp set with embossing stamp and clear embossing powder. After I hear set it I cut out the letters! So EASY!!! For the shoe I punch holes and tied .05mm orange hemp for laces! I love how the hemp adds so much! 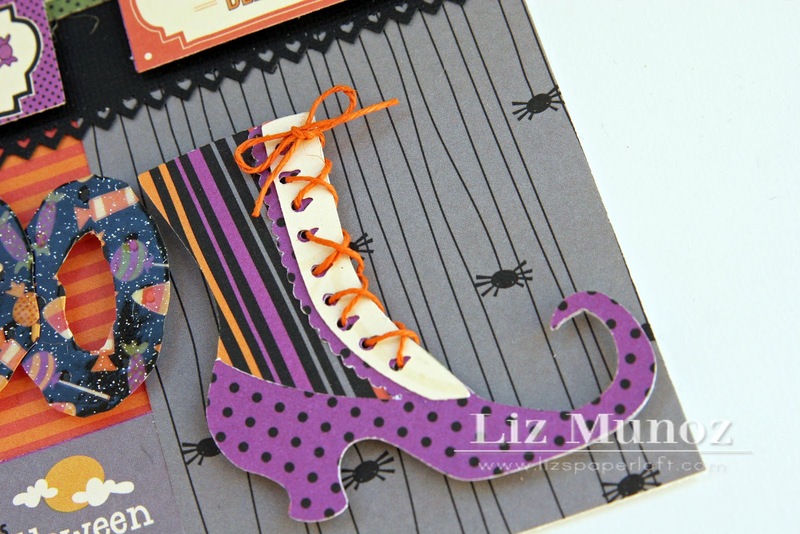 I'll be back later this morning with a second project to share with you...a masculine card! Liz ~ Holy smokes! Okay that mummy die ~ LOVE it and TOTALLY need to try this! Cute touch with the googly eyes!!! Well the shoe with the hemp ~ OMG!!! Too CLEVER! OKay I have to try the BOO too! I LOVE how that looks and you even cut the sentiment!!! Well you colors, paper choice and design AMAZING!!! Awesome job!!!! Your mummy turned out so stinkin' cute! And the hemp in the witch's shoe!!! Love this layout, Liz! Gorgeous LO. 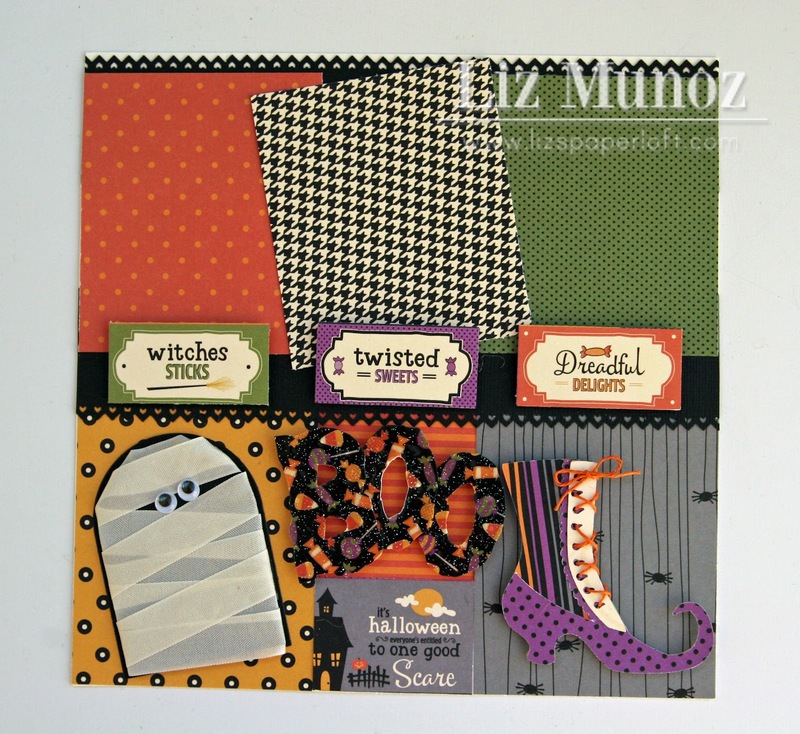 Love the colors and of course the details, especially for the mummy die. TFS. WOW Liz!!! Love your Mummy!!! He is too cute!!! You are so clever! The embellies are perfect and the whole layout looks outstanding!! Great job! hugs! Your wrapped mummy tag and laces on the shoe were such clever ideas...I love it! 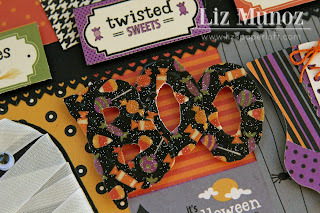 The tags and embossing are great. Such a fun layout. Isn't this just sooo cute! I love your little mummy! 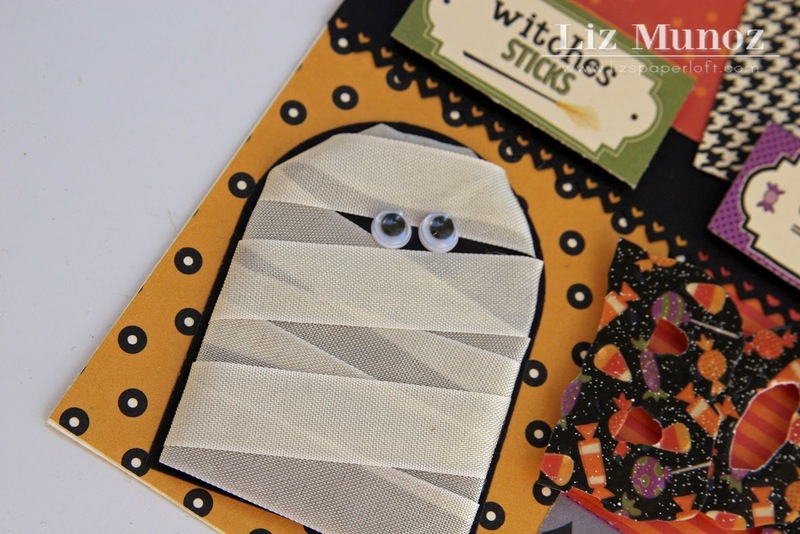 Who knew the tag die could be a mummy?! Great job Liz!